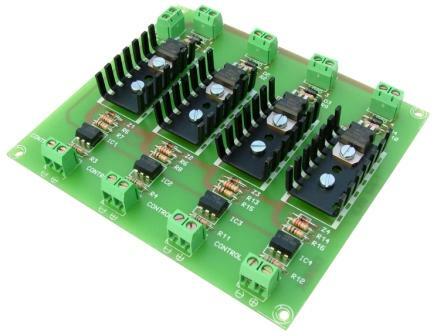 Cebek T-3 is a an opto-coupled four-output interface with four triacs. When an voltage of between 3 and 24 is applied to the input the corresponding triac will conduct. Not suitable for inductive loads. It allows for easy interface between CMOS and TTL signals.